Mid rise distressed boyfriend fit Bermuda jean shorts. Sleeveless overall style denim chambray jumpsuit. Fitted waist ankle length denim chambray pants. Long sleeve sequins and distressed denim jacket. One shoulder ruffled denim bodycon dress. Sleeveless open front crochet denim vest. Sleeveless scoop neck side lace up detail stretch denim dress. Sleeveless scoop neck lace trim detail stretch denim dress. Mid rise light wash american flag back pocket denim shorts. Elastic waistband medium wash distressed boyfriend shorts. 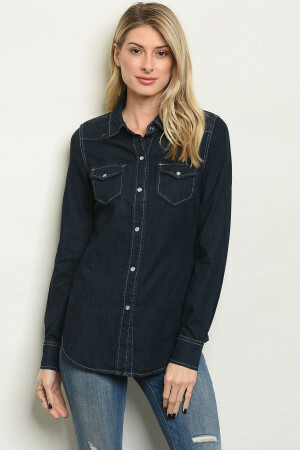 Long sleeve button down dark wash denim shirt. Mid rise washed denim shorts. Fitted waist side lace up detail skinny jeans. Short sleeve off the shoulder denim skirt skater dress. 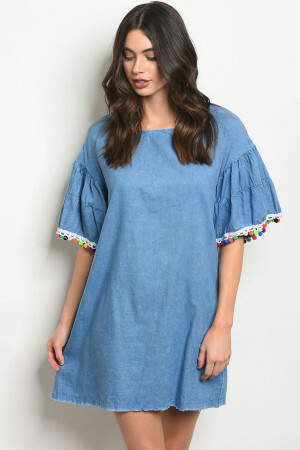 Short ruffled sleeve round neckline denim tunic dress. Fitted waist leopard trim denim skirt. Mid rise medium wash distressed denim jeans. 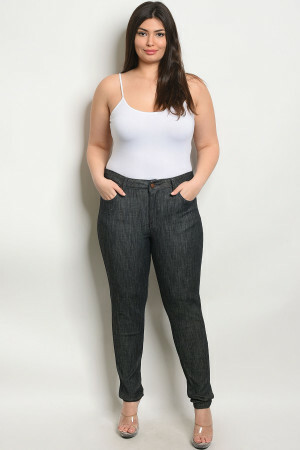 Plus size elastic waistband skinny stretch pants. Short sleeve lace up detail denim crop top and skirt set. Long sleeve cold shoulder striped button down shirt. Long sleeve button down chambray denim shirt dress. High waisted medium wash side cut out detail skinny jeans. High waisted black wash side cut out detail skinny jeans. High waisted black denim with ankle lace up detail. Sleeveless open front distressed back denim vest. Mid rise lace up detail denim shorts. Long bell sleeve high neck tie denim tunic dress. Plus size fitted waist pocket detail denim skirt. Sleeveless lace up front detail denim bodycon dress. Fitted waist lace up detail denim skirt. Fitted waist distressed mesh denim skirt. Short ruffled sleeve pom pom detail denim chambray tunic dress. 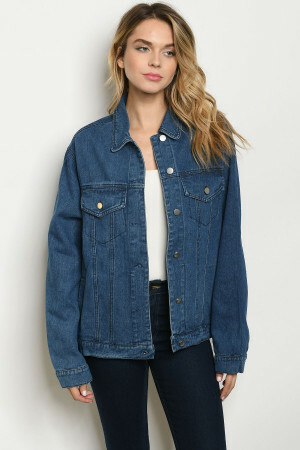 Long sleeve button and pocket detail denim jacket. 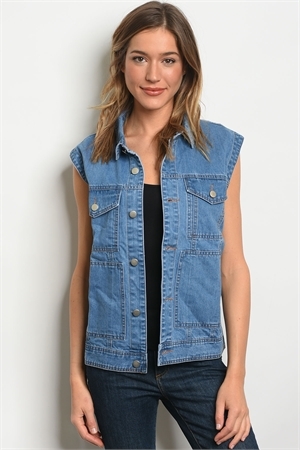 Sleeveless light blue moto style denim vest that features multi colored patch work details and frayed edges. Short frayed ruffled sleeve denim bodycon dress. Mid rise side stripe detail white denim skirt. Long sleeve embroidery detail sherpa lining denim jacket. Long sleeve open front denim moto jacket. Braided waist detail light wash denim shorts. Belted waist loose fitting denim pants. Sleeveless over sized denim vest. 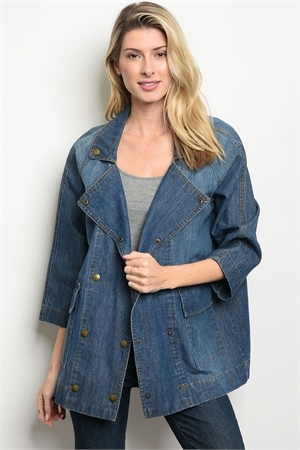 Long sleeve open front longline denim coat jacket. Relaxed fir drawstring waistband jogger pants. Long sleeve V-neck washed denim tunic dress. Fitted waist gingham ruffle trim denim skirt.